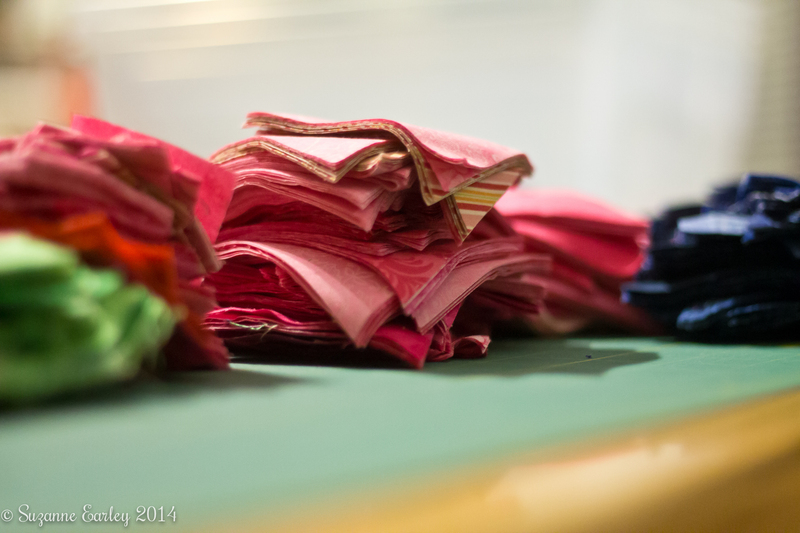 Last week’s pile of fabric has turned into…lots of piles of little fabric pieces. I’ve almost gotten to the point where I’m sick of cutting, and I’ll start sewing. It will take awhile to piece all of this, so this project will probably show up in Work in Progress posts for quite awhile. In the meantime, I’ll probably decide I need to start about 10 other projects. My shawl from last week doesn’t look a whole lot different. I have made progress, though, and look forward to getting past the beading section. I wanted to take some knitting to basketball last night, but didn’t have anything that was mindless and easy and travel-friendly. Beaded shawls do not fit that bill!